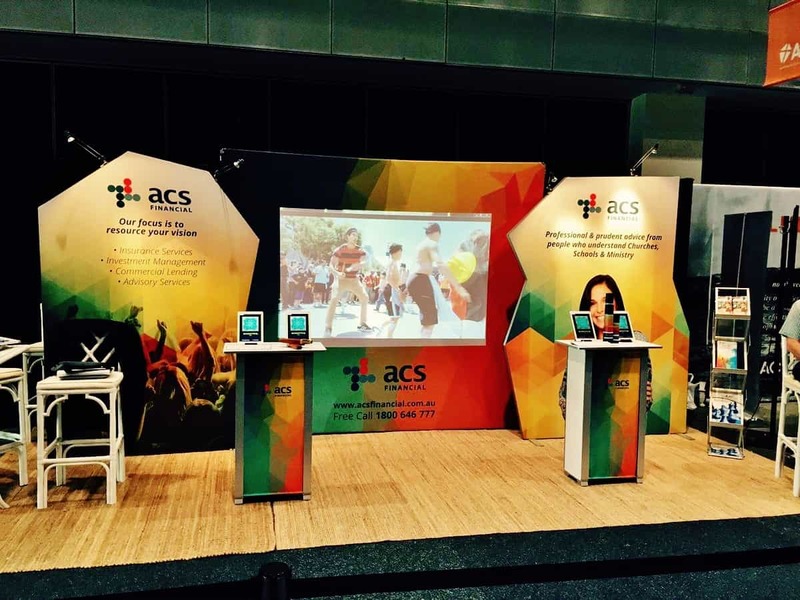 Step Outside of Square with PictureScape! 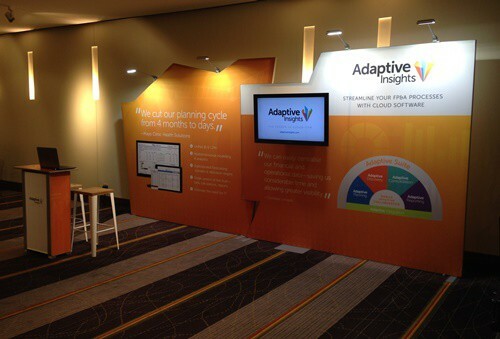 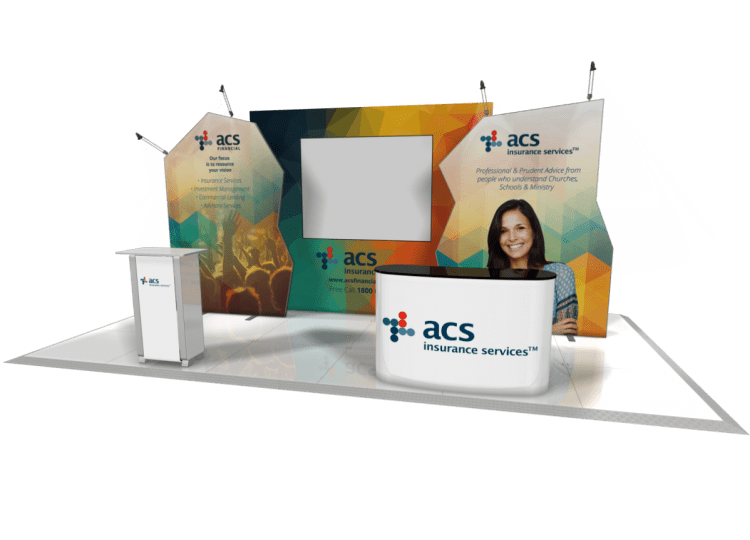 Stand out with a custom shaped portable display. 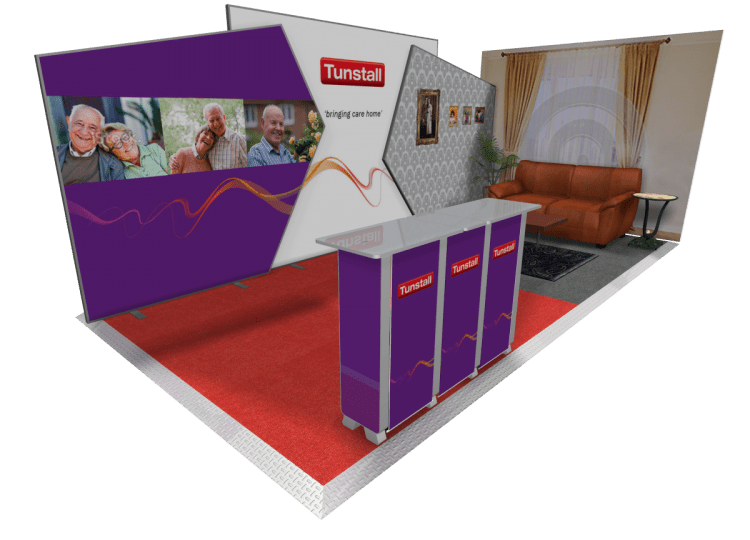 Create nearly any angular shape imaginable. 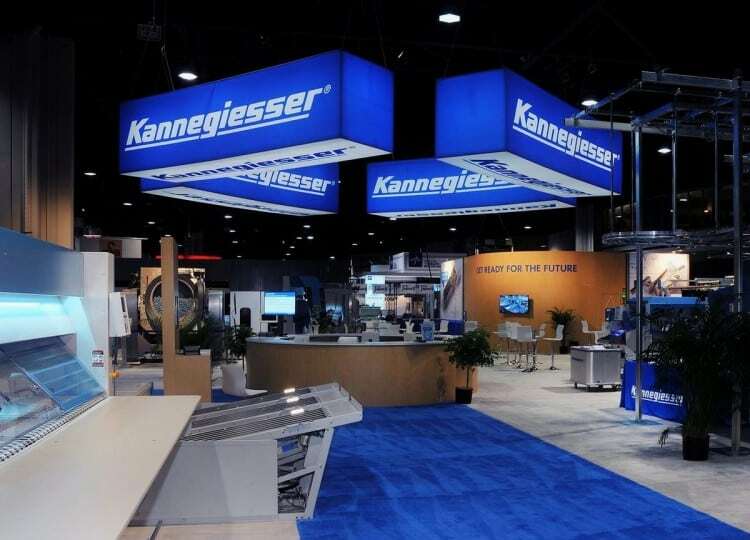 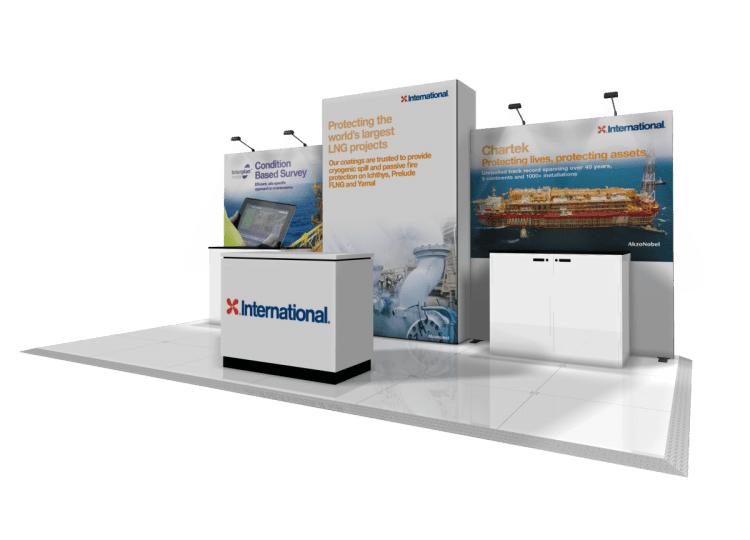 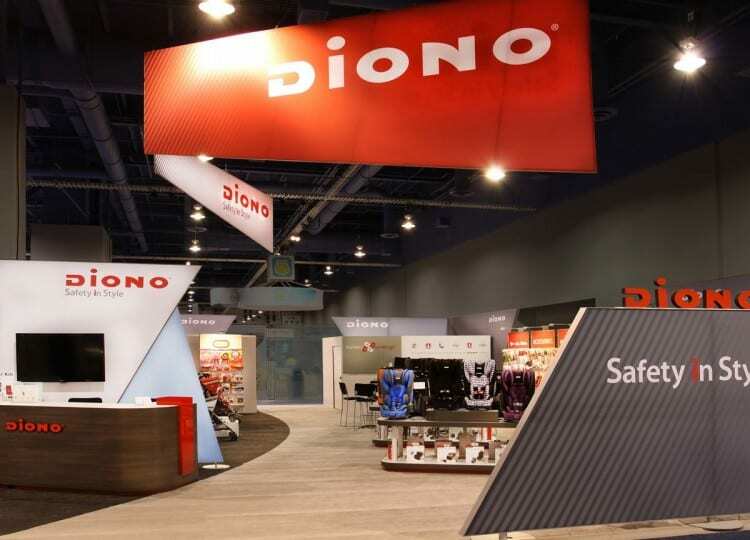 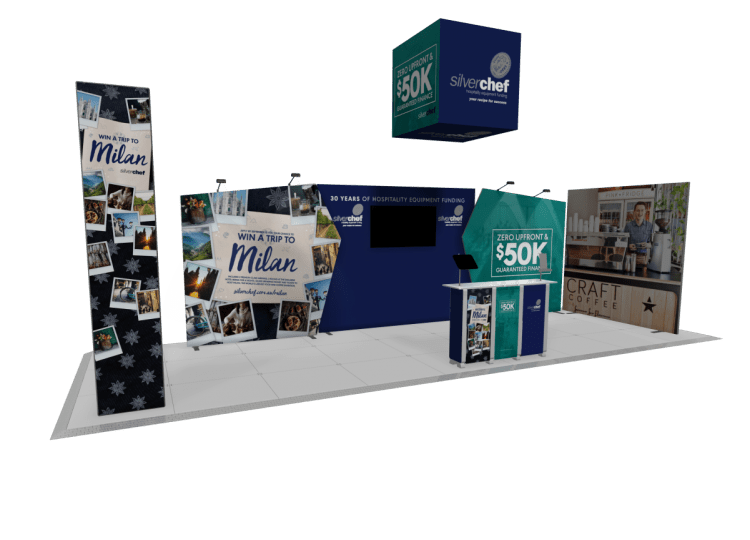 From kiosks, to back wall displays, to hanging signage for large island booths PictureScape will help you stand out on the crowded show floor. 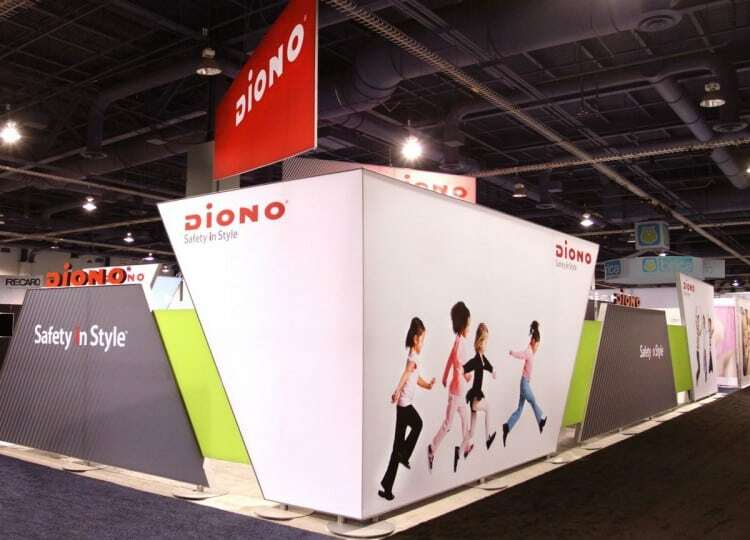 PictureScape’s allows you to create a custom-shaped display with nearly limitless angles. 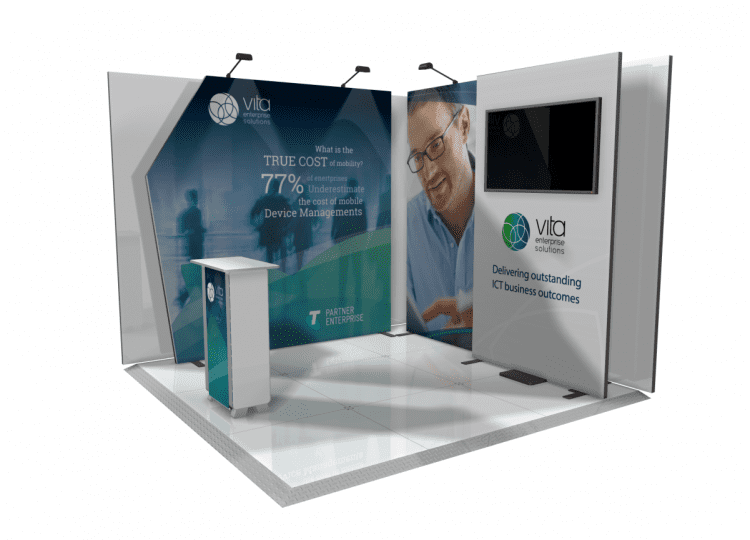 Design a shape that mirrors your logo or graphics, or choose from several standard shapes. 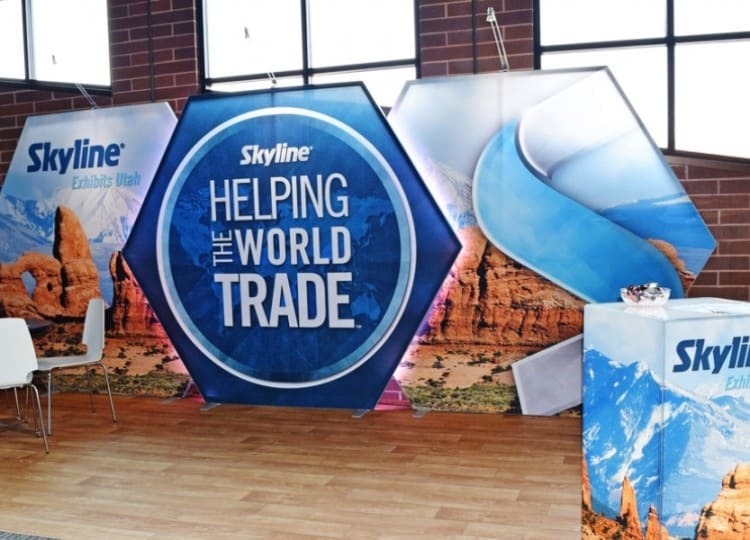 Skyline fabric graphics are formed precisely to your display shape and attached with our concealed connection system for a clean brand presentation. 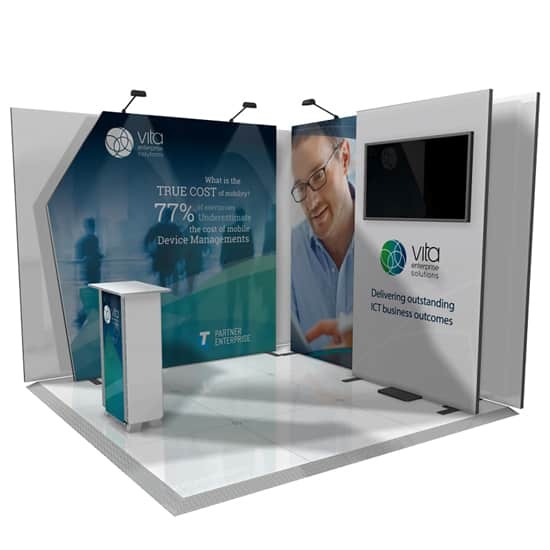 PictureScape can carry graphics on both sides, making it perfect for stand-alone kiosks in lobbies, retail settings or trade shows. 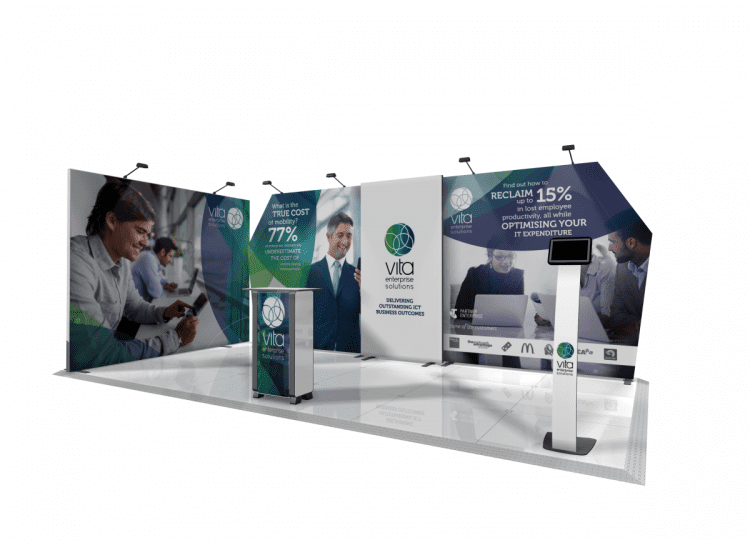 Capture attention with graphics and shape. 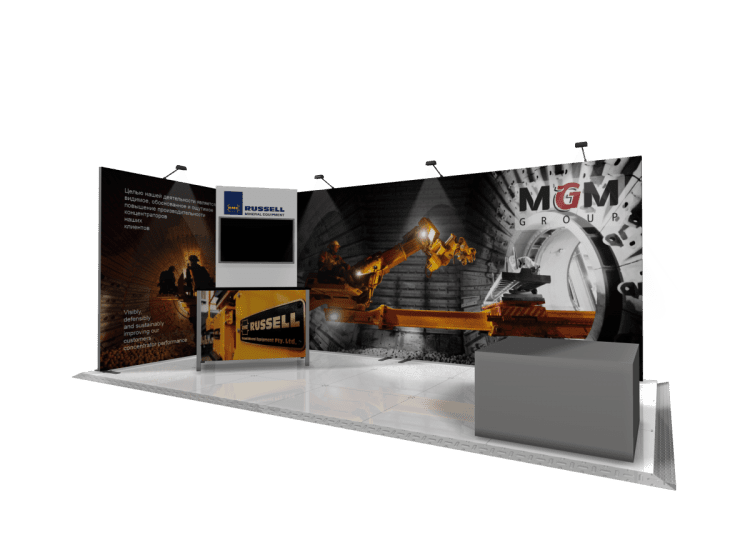 PictureScape allows your message to stand out. 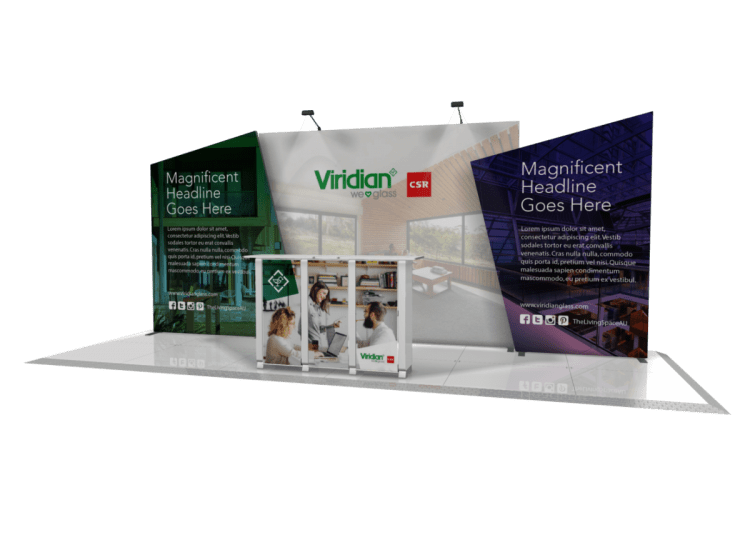 PictureScape is smartly designed to give you a big look with a system that is streamlined and lightweight. 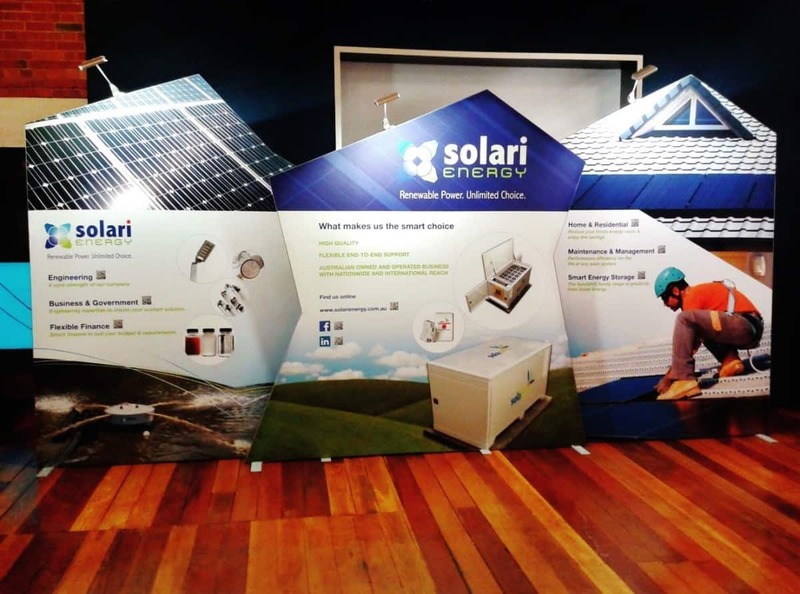 Its sleek aluminium frame and fabric graphics reduce operating costs such as storage, shipping and drayage. 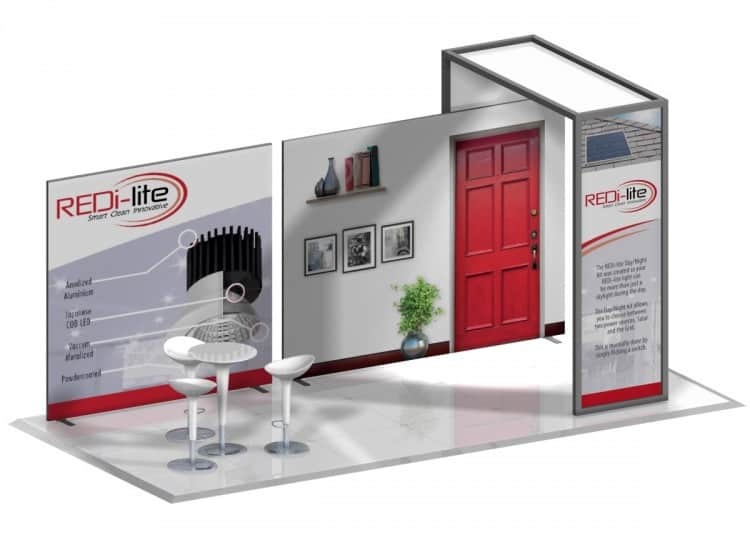 PictureScape is lightweight, packs small and easily installs with a simple Allen key. 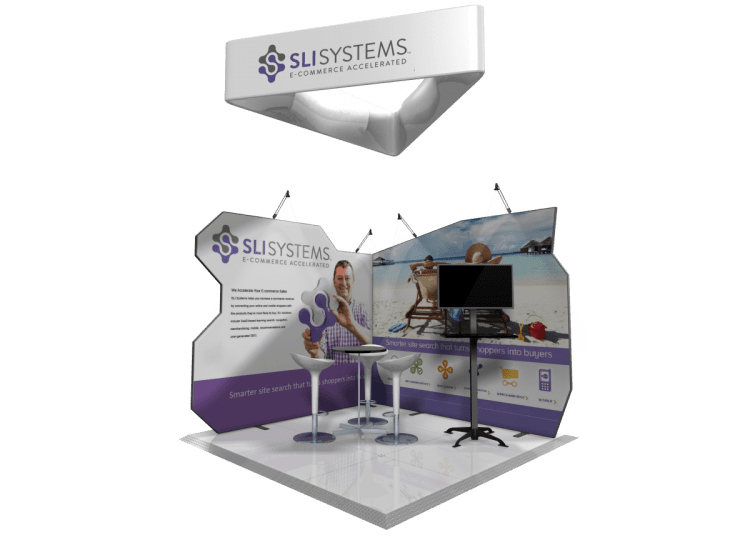 Most 3 metre PictureScape display designs, including lights and accessories, will fit in a single, soft-sided case with handles and wheels for easy transport. 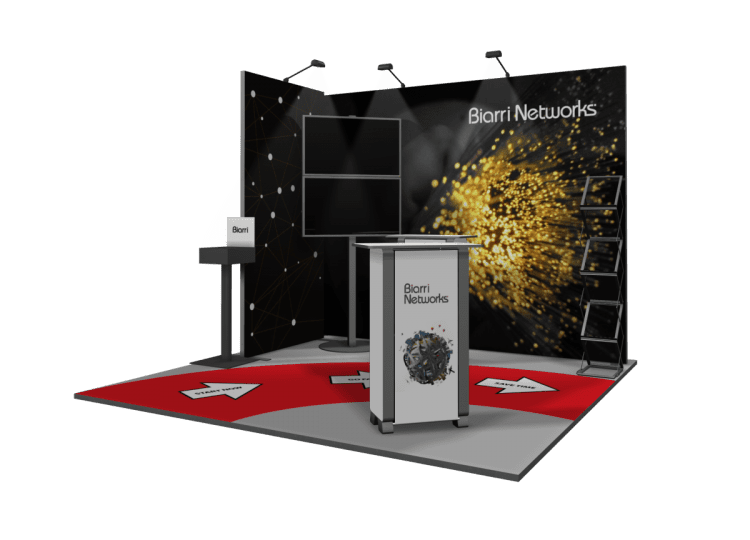 Be seen from afar! 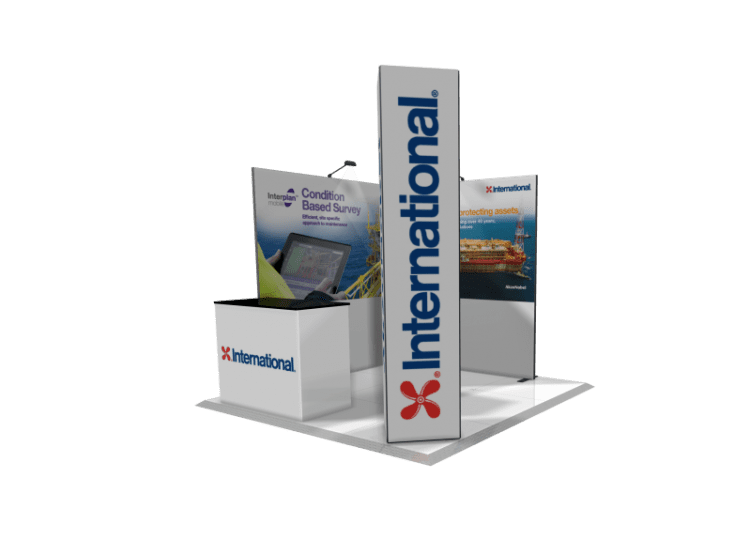 PictureScape hanging signs can be a perfect complement to any island display booth. 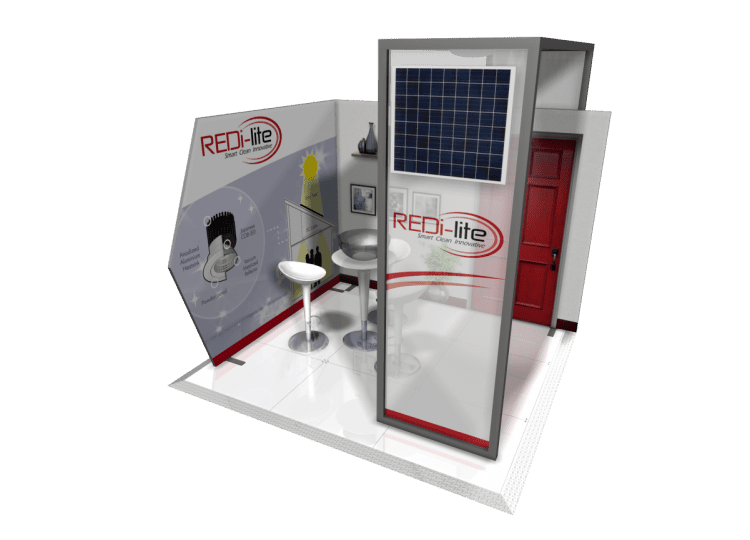 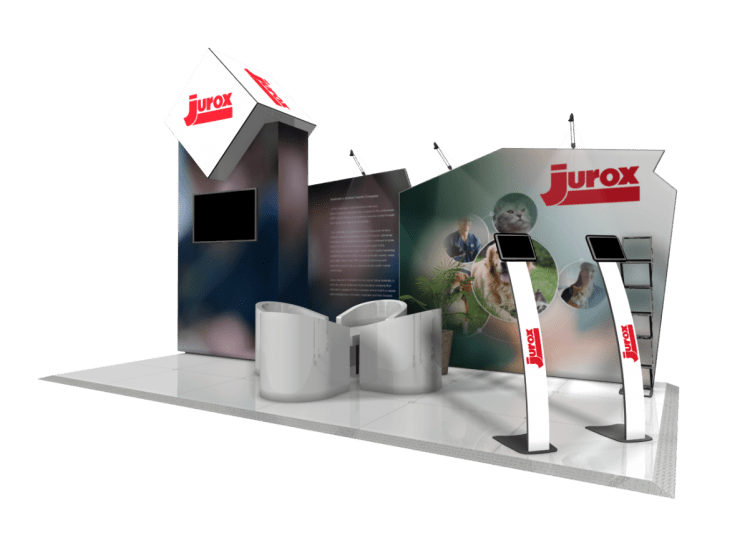 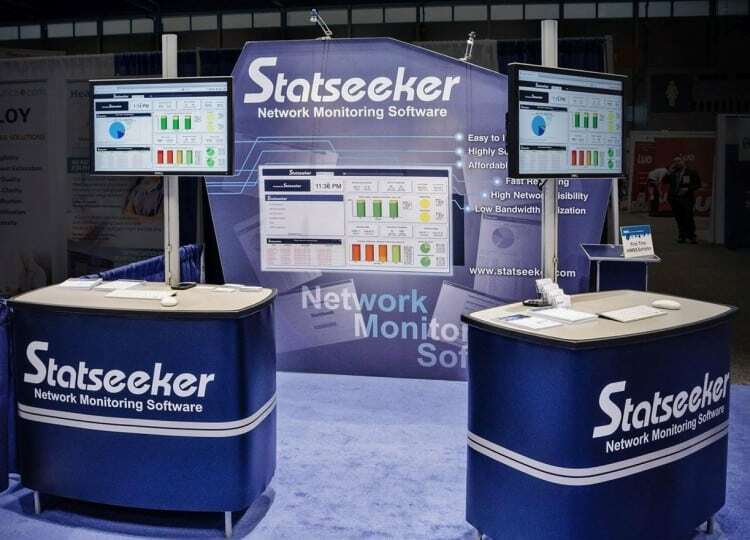 More than ever, your exhibit is your brand! 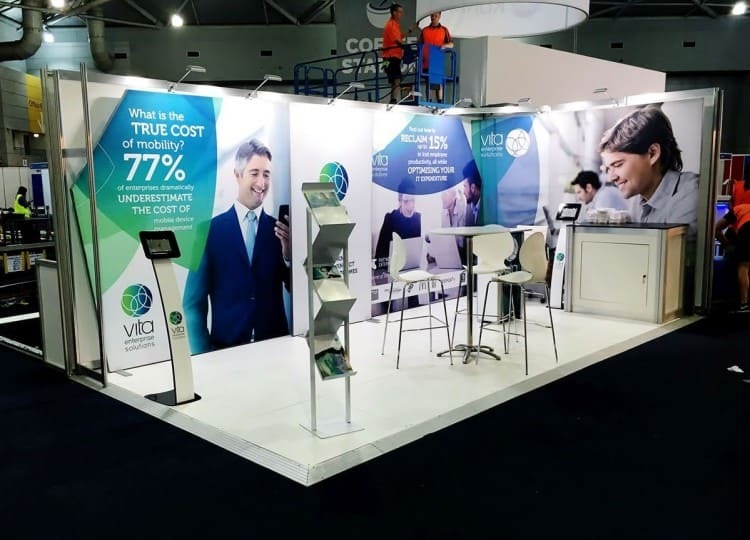 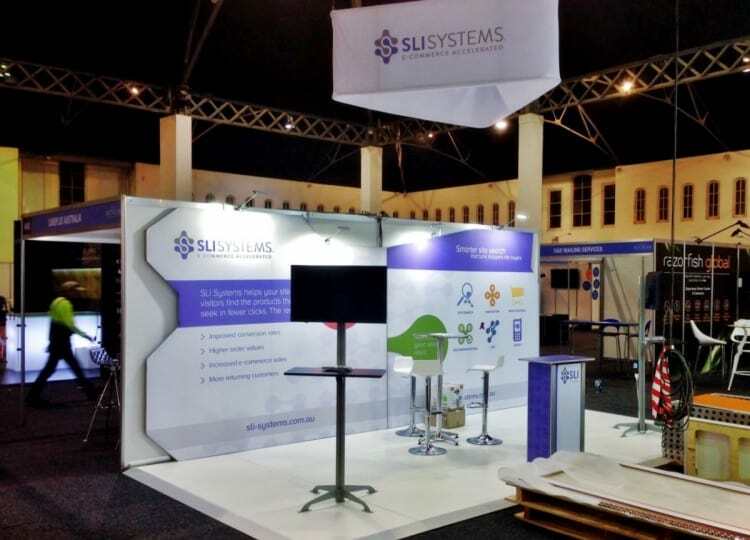 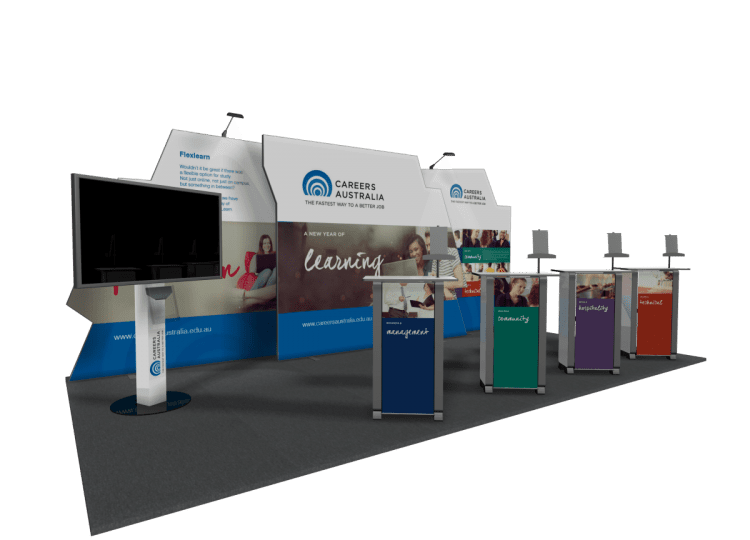 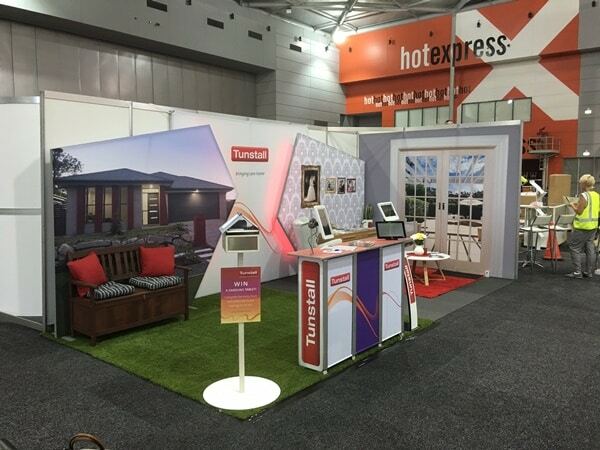 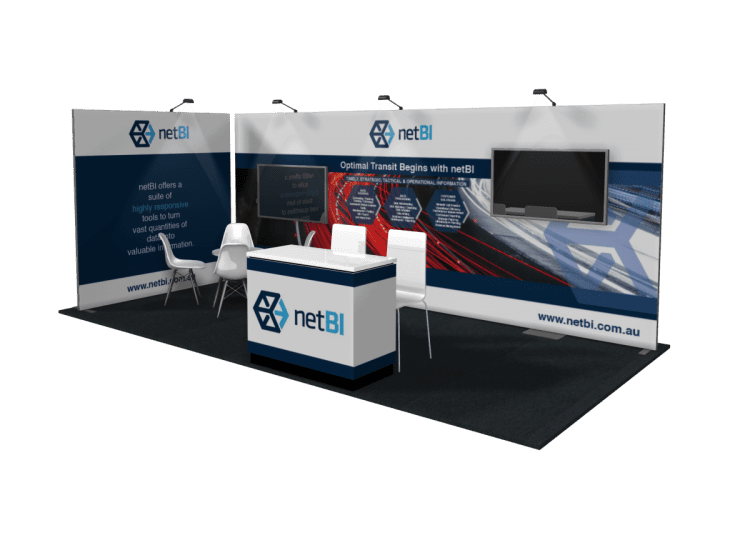 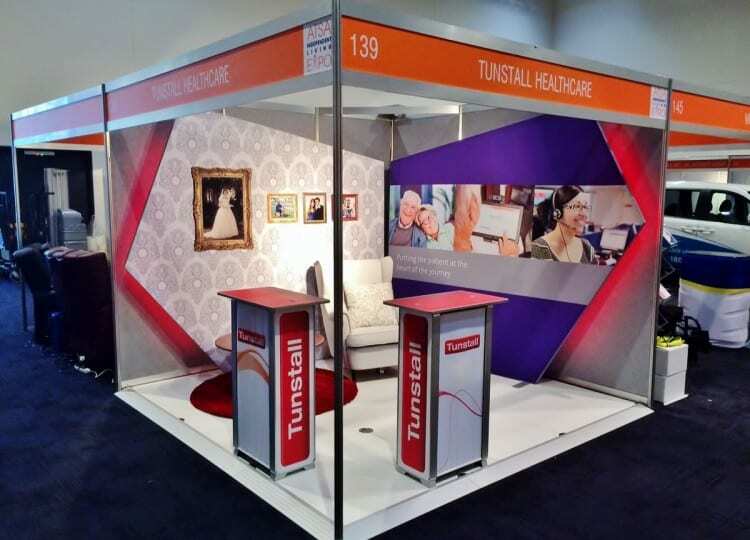 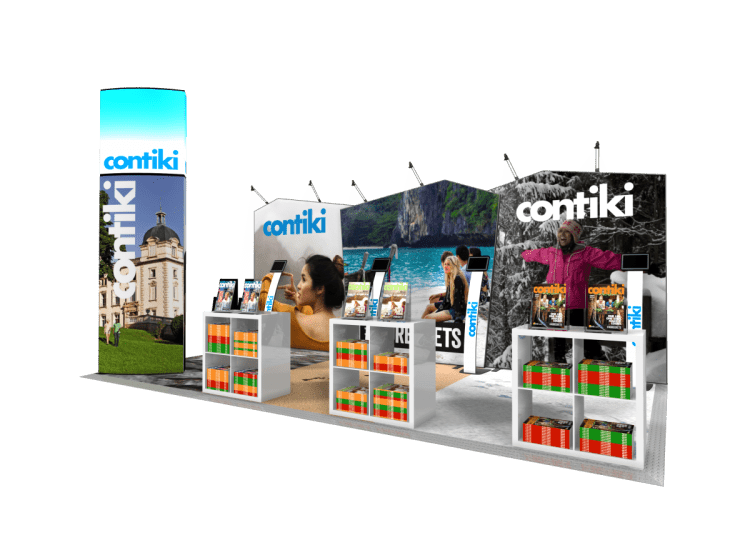 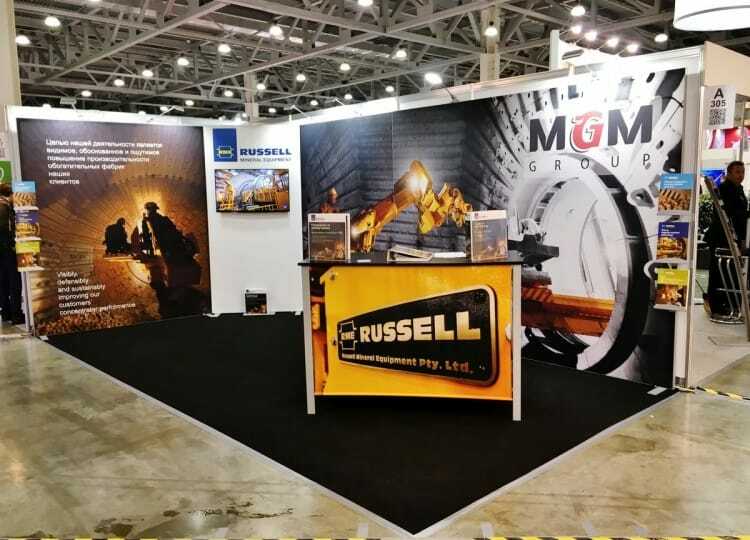 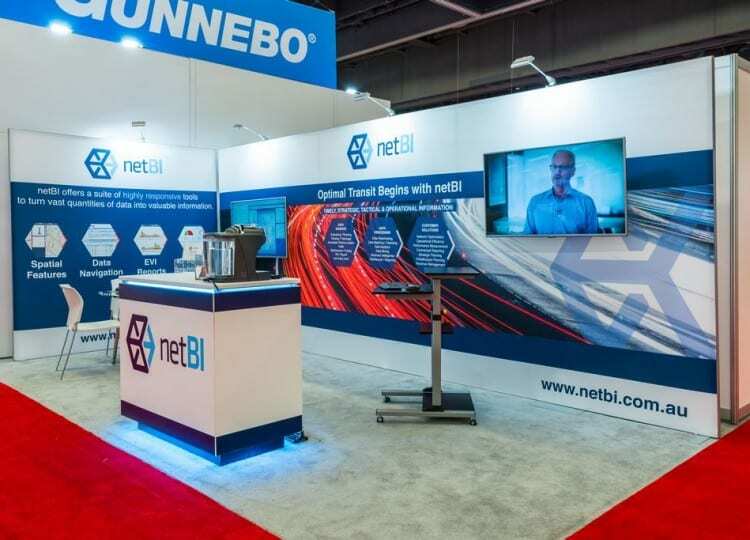 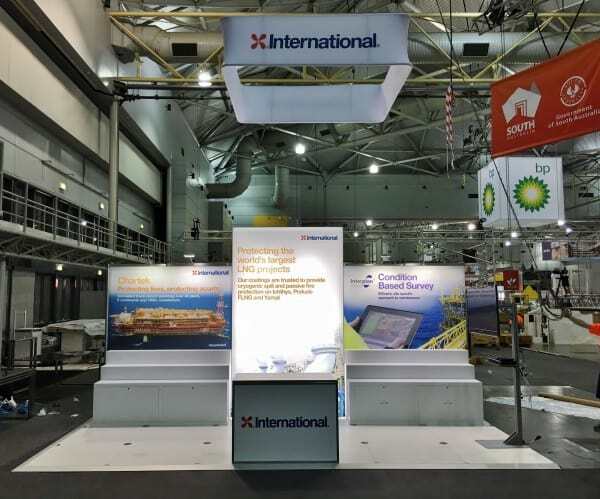 Beyond your graphics, your exhibit architecture can now be a big part of your brand presentation – even in 3×3 and 6×3 metre spaces. 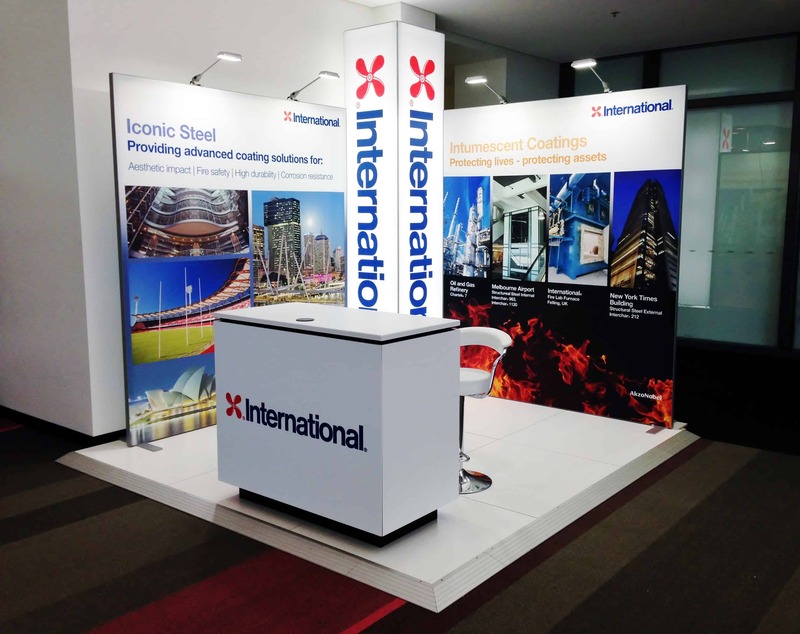 Make a statement with bold shapes that make an impression and say more about your brand. 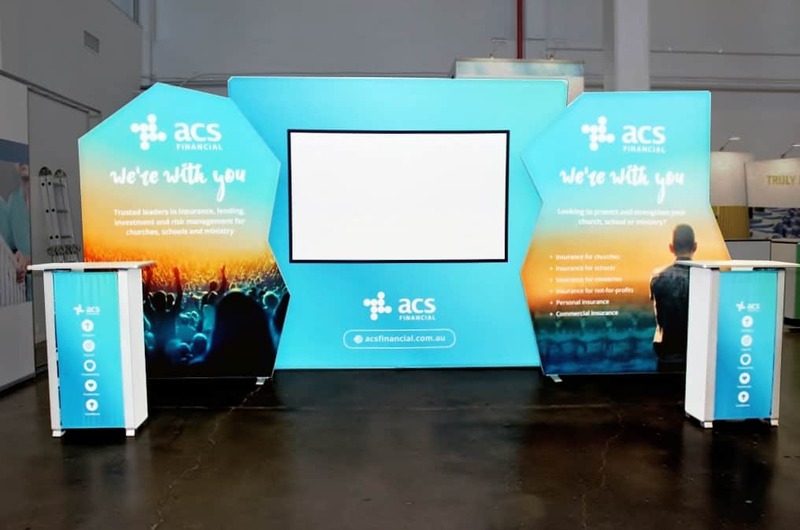 Want to know more about this Skyline Display Solution? 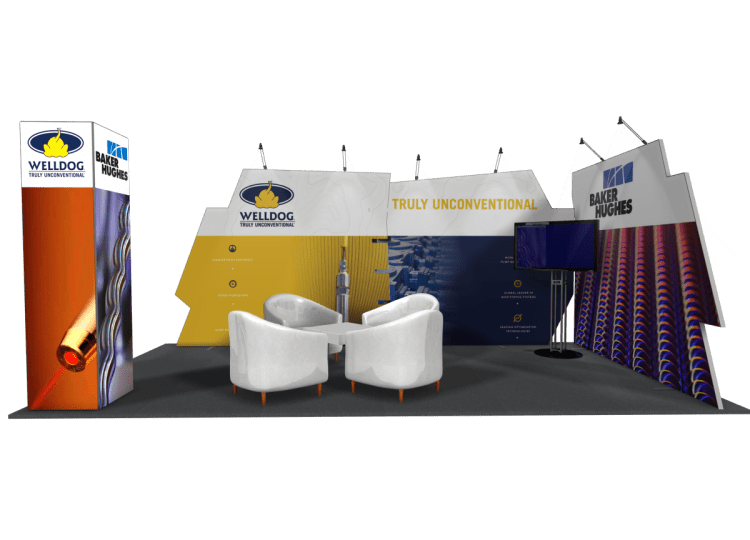 Enquire today to find out how Skyline can help you Stand Out in the Crowd.